In this series, I’ll be talking about patterns and symbols seen in various episodes of a Game of Thrones. I begin with the Spiral and shall examine its significance in two separate videos. WHAT DO I MEAN BY THE SPIRAL? 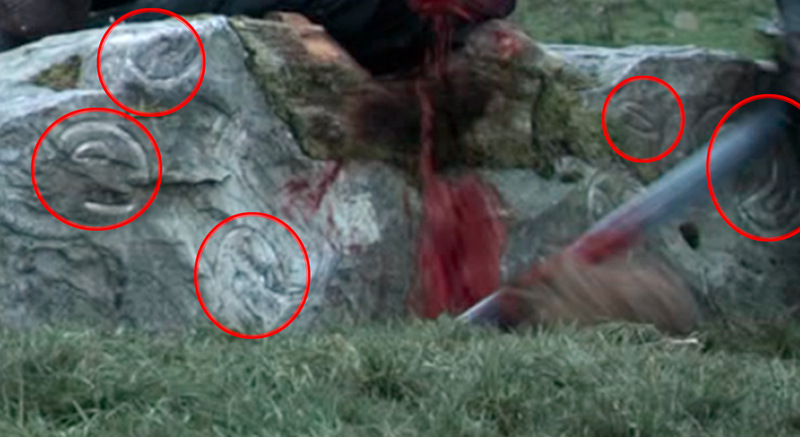 I’m referring to the arrangement of stones with a heart tree at its center, created by the Children of the Forest as seen in Episode 5 of Season 6. Perhaps it’s meant to signify a wheel but the wheel and the spiral hold similar meaning: both represent a continuous cycle – there is no beginning or end. 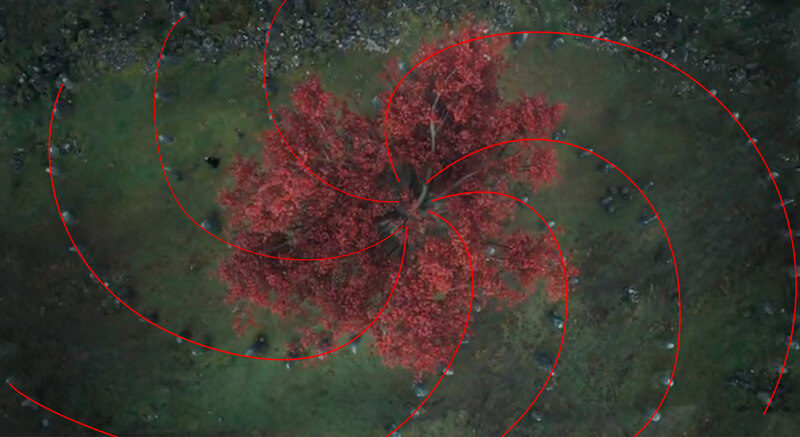 Through Bran’s journey back in time, we are allowed a glimpse of this spiral arrangement twice in Episode 5 of season six but it’s not the first time this design shows up. 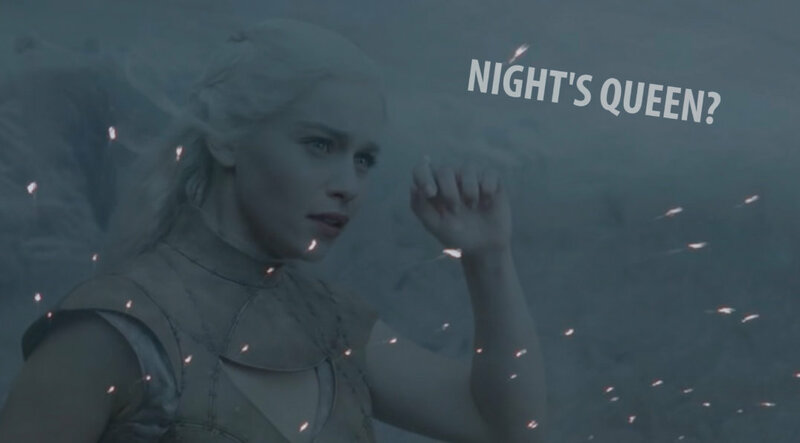 We’ve seen it at the Fist of the First Men, after the wight attack on the Night’s Watch and after Dany’s first flight on Drogon, when she becomes centerpiece to a Dothraki horde, all whirling around her in circles. After taking Yunkai in Season three, Daenerys walks into a multitude of freed slaves. She becomes a central figure here also, lifted up and rotated for all to see, while the freed gather in concentric rings around her, hailing her as Mhysa. It seems to me all these spirals and whirling patterns are just begging for some attention. Is there any connection between these scenes and if so, what does it mean? First off, let’s take a look at the symbolism of spirals. It is very ancient, older than the pyramids of Giza, dating all way back to the Stone Age. It is a feminine symbol representing fertility, death and rebirth and regeneration. It occurs almost universally in nature, recalling the Fibonacci sequence and the golden ratio exhibited by flower petals, shells and even galaxies. the symbol is often found on ancient carvings of the mother goddess and is strongly associated with this primeval deity. the winding passage to the center is a labyrinth motif. It represents the cyclic forces of nature such as seasonal growth patterns and the lunar cycle, which are essential to life. Cyclic forces create change. The old makes way for the new. Life is neither permanent nor static, but flows in a never-ending cycle. The spiral is the doorway to life. The mother goddess is an important aspect of the spiral. Archeological evidence suggests that the Earth was once viewed and worshipped as a living, female being. Thus, the earth mother represented the fertile earth and the safety of underground caverns, also interpreted in terms of the womb. To understand this, think of ancient man, for whom the cave was more than just a place of abode. Paleolithic man lived in the womb of the Earth Goddess: in caves of regeneration and transformation, safe and also sacred. Her association with the underground qualifies her as a chthonic deity, linked to the otherworld, where the souls of the dead reside. It is thus fitting that the Children of the Forest should express their bond with nature via the spiral, and even more so that the focus of this symbol is a weirwood heart tree, the Tree of Life, also known as the Axis mundi or Cosmic Pillar. 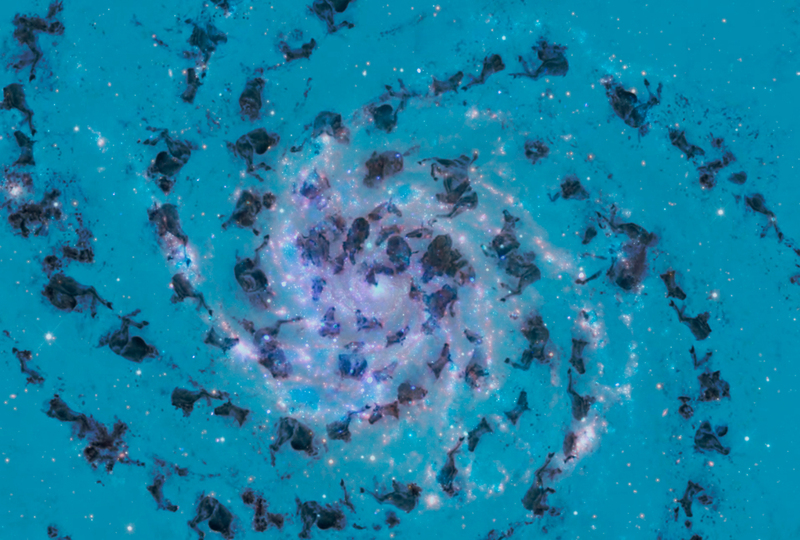 Early depictions of the spiral often bore seven cycles with a dot marking the center. 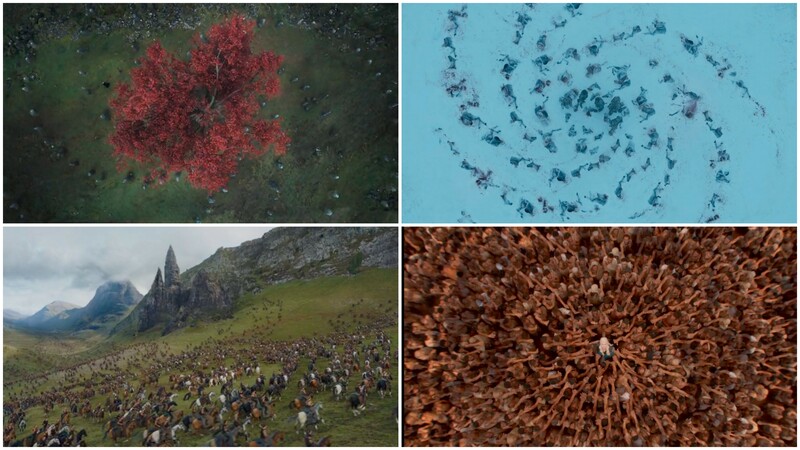 This is a great parallel to the arrangement centered by the weirwood we see here, which also has seven arms. The children lived in the security of the cave system beneath the weirwood and until recently, it was a sanctuary, as safe as a mother’s womb. Equally important is the labyrinth motif. We can envisage this as pathways within the recesses of the precious cave, paths through the subconscious, pathways to commune with the ancestors in the otherworld. A mystical journey into other realms and back. The cave is permeated by the roots of the holy weirwood above, the Tree of Life that connects heaven above and earth below. In the darkness of the earth amidst the roots of the weirwood, spirituality thrives and Bran’s powers grow. As we see, the spiral is also linked to intuition, consciousness and the supernatural. Indeed, we can spiral into sub-consciousness or into a dream. And in hypnosis, we imagine our eyes spiraling while we fall into a trance state. Let’s now turn our attention to some of the patterns we see in the show. The very first episode and book chapter of the series take us to the execution grounds of Winterfell where Eddard Stark beheads a deserter of the Night’s Watch. Though no special rock-formation is evident, the area is surrounded by monoliths not unlike those surrounding the Children’s weirwood. Interesting is the centerpiece of the Winterfell execution ground, a wooden log sunk into a large rock upon which the condemned places his head, perhaps meant to represent the central heart tree. Very intriguing are the symbols etched into this rock. Look closely and you will see circular carvings, with what appears to be a single leaf in the middle. There’re quite a few of them. Could the leaves be linked to weirwoods? We do not know if the Children used their sacred grounds for other purposes but the two sites do share the aspect of execution. As such, there’s a certain irony to Will’s death, which basically comes about because of his encounter with white walkers, while we now witness the ritual killing of a Man of the First Men, whose death turns him into a white walker. Episode 5 of season 6 treats us to a wintery view of the mysterious ritual grounds, so similar to the design that Mance Rayder, Jon Snow and the wildlings discover on the Fist of the First Men. Mance says the white walkers are creative, if one can call this gruesome arrangement of butchered horse carcasses creative. Why would the white walkers arrange dead horses in this way? It’s certainly a ghastly reminder of their origins within the symbolic spiral of the children of the forest. But I think both the symbol and the dead horses are a clue to something else as well. Could there be a connection to the Dothraki, those horselords whose main features – an undisciplined army, lust for blood and indiscriminate killing, echo the white walkers and their mindless army of the undead? Do the Dothraki also mirror the First Men who arrived in Westeros on horseback and came with fire and bronze weapons, slaughtering the children and destroying their trees? Think also of the history of the horse people as told in the World of Ice and Fire – their seeming appearance out of no where on the scene in Essos. The Century of Blood during which they annihilate whole cultures. The slaughter of the Lamb People we witness first hand. The capturing of of people for the purpose of selling them as slaves in exchange for gifts. Their strange deference for the Iqueferon, a mysterious folk that sounds similar to the Children of the Forest. When the Dothraki discover Daenerys after her flight on Drogon, they surround her by circling her. As more and more gather, a veritable spiral of horse riders forms around her, she the centerpiece of this design. We can clearly see the trampled grass they leave behind, circular, with arms stretching out marking the influx of riders into the arrangement. We thus have two similar symbols involving horses. I spent some time thinking about this, looking for some more clues, and suddenly it came to me. Jorah Mormont provides us with a direct connection between the Dothraki and the design at the Fist of the First Men when he makes a fist after picking up Dany’s pearl ring. He makes a fist and I thought, yes, this is the link. The fist. 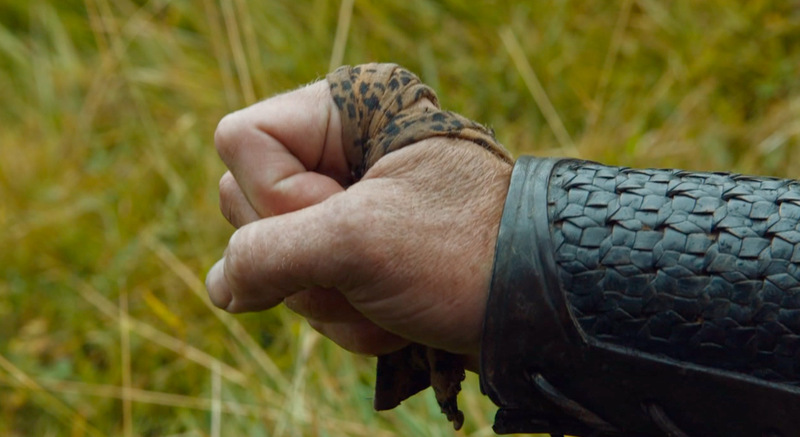 Jorah’s clenched fist symbolizes his determination to fight the Dothraki and recover the mother of dragons. 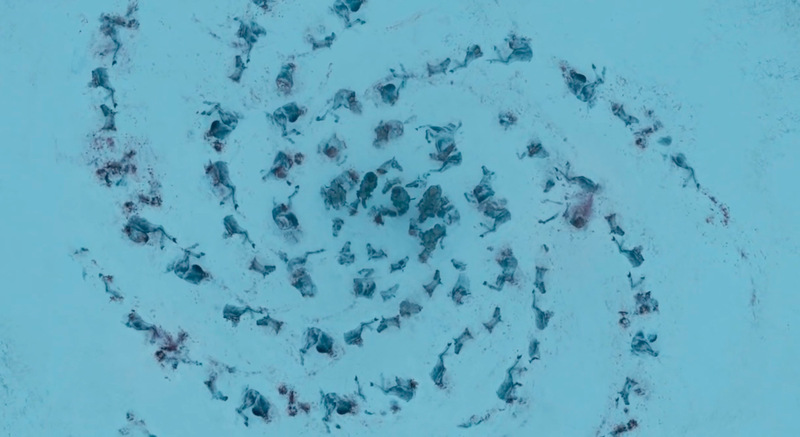 At the same it, it connects the horselords with the fist of the first men and the dead horses arranged in a spiral by the white walkers. What is the fist, if not a symbol of solidarity and support, an expression of defiance and resistance? Could the First Men have raised their ringfort on the elevated Fist north of the Wall in resistance to the White Walkers created by the children? Jorah’s clenched fist, raised in defiance against the Dothraki, certainly seems to suggest this. Having established a link between the Fist of the First Men and the Dothraki, can we also say the butchered horses arranged in a spiral allude to the Dothraki belief in the Night Lands – the starry khalasar in the sky? It’s plausible, for another interpretation of this symbol is the cosmos itself. The cosmic spiral, the galaxy within which we reside, filled with a multitude of stars – a starry khalasar indeed. KHAL DROGO, A VERSION OF THE NIGHT’S KING? It seems to me Khal Drogo is another version of the Night’s King. As a matter of fact, like the Night’s King, Drogo was a warrior who knew no fear, his braid long, uncut and hung with numerous bells proclaiming his prowess in battle. He rides in the Night Lands now, his spirit released from his body by the fire. The Dothraki are horselords whose Khals must ride or lose their position. In spirit, they ride their dead steeds to the starry khalasar in the Night Lands. They become the stars. The white walkers with their bright blue eyes claim the land in the night. They are Nightwalkers, their blue eyes brilliant as stars in a night sky. They rode dead horses during the Long Night and they ride them now! Here we have imagery of souls returning to earth in the form of the icy walkers, bent on vengeance. 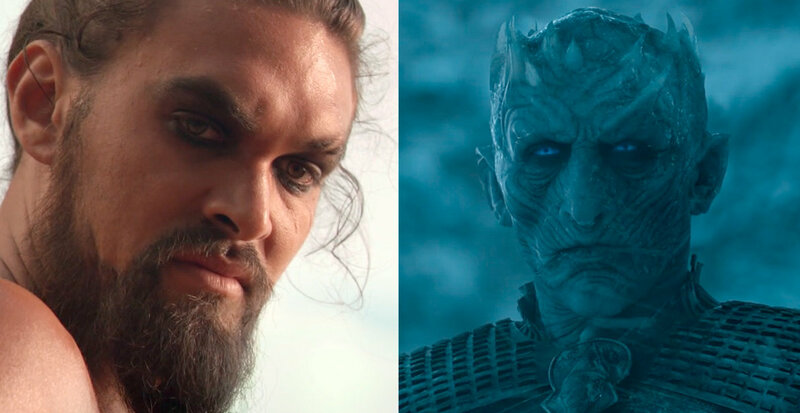 Is Khal Drogo a version of the Night’s King? I see a definite parallel between the Dothraki horse culture and the white walkers here. Perhaps Dany’s House of the Undying Visions can shed some more light on this. Many of us have wondered at the Show’s interpretation of the House of the Undying visions. I recommend watching that again because it’s quite revealing. To recap, Daenerys walks through a Red Keep destroyed and shrouded in winter to emerge through the gate of Castle Black north of the Wall. She comes upon a tent a little further on, hardly visible through the winter mists. She is as pale as the Night’s Queen herself. Inside the tent, she finds Khal Drogo with her son. Now why would the Show-Makers turn Dany’s visions into a scenario involving Khal Drogo residing in a summer tent beyond the Wall? In Book One of the series, the only related vision is the one in which she sees a blue flower in the chink of the Wall. The blue flower, assumed to be a blue winter rose, represents Jon Snow. Is the blue flower linked to Khal Drogo? This kind of strikes a chord. Think of what we know about the Others – that they sleep or have been asleep since the Long Night and have recently woken to plague mankind. Who woke them? Waking giants of the earth anyone? It is stated that the children of the forest woke the giants of the earth around the time of the hammer of the waters… Could the Giants of the Earth be none other than the White Walkers, created around the time of the Hammer to deal with the First Men on behalf of the Children? Drogo’s words to Dany could thus imply that if woken, he will return as a White Walker or being a Khal, as the Night’s King. We turn now to the Stallion Heart Ceremony. In this ritual, Daenerys has to eat the raw heart of a freshly killed stallion, which is supposed to give strength and power to the child she carries. This is not cannibalism but the ritual echoes the ancient belief that eating the heart of a worthy foe transferred the courage and power of that foe to the victor. Also, Old Nan’s stories are full of tales of outsized men feeding on maidens and children and we know that cannibalism is practiced on the Isle of Skagos in the North of Westeros. Additionally, in Book 5, there is the matter of Ramsay’s letter to Jon Snow in which he threatens to cut out Jon’s heart and eat it, something I consider very relevant to the stallion heart ceremony and to the connection between the Dothraki and white walkers in general. I shall expand on that in part two of this analysis. Let’s not forget that the spiral is a representation of the mother Goddess, a deity also associated with the underground, which can be interpreted in terms of the womb. It’s no accident then, that a carving of a mother figure is visible in the background during the Stallion heart ceremony. In the books, pregnant Daenerys also bathes in the sacred waters of a lake known as the Womb of the World after the ritual. It is dark and a reflection of the moon, another feminine symbol, shatters and reforms on the lake as she bathes. Indeed, rippling water is another form of spiralism. This imagery of the mother goddess and the womb associate Dany with the underworld and thus with the Night King’s corpse bride, whom he is said to have chased and loved and given his soul along with his seed. Moreover, this lake is important in another respect. The Dothraki creation myth which states that the first man and his horse emerged from the waters of the Womb of the World is another analogy to the creation of white walkers, who first emerged from the sacred spiral ritual ground of the Children of the Forest. We’ve come to the end of part 1 of the spiral investigation. In part two, I’ll expand on Drogo as a version of the Night’s King and point out parallels between the Dothraki, the Lamb People, the White Walkers and the Wights. I’ll also identify the current horned lord of the North.